Dual 600 ohm Transformer Balancing Interface. 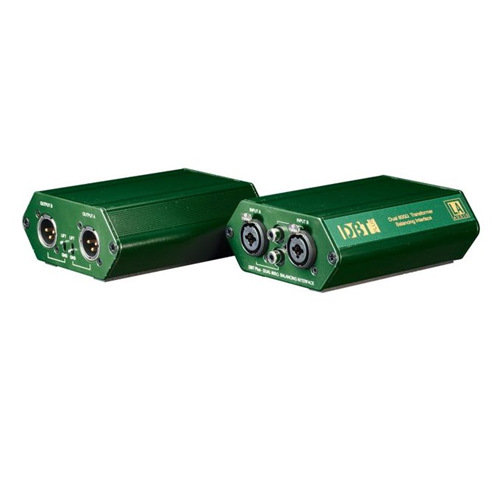 The DBT is a dual channel unit incorporating high quality balancing transformers in a durable extruded aluminium box. Connections are via XLR's and a ground lift switch is provided for the elimination of ground loops. The DBT is designed for balancing the outputs of unbalanced equipment to provide interference rejection and galvanic isolation when interfacing with balanced lines.